Been in business for over 30 years - started with a loan of $100 - sold junk jewelry on the side of the road. Reinvested and started selling at festivals. In 1991 built a building for storage and decided to make it look like a store. In 1999 The Hillbillies Store had a 1500 door expansion. 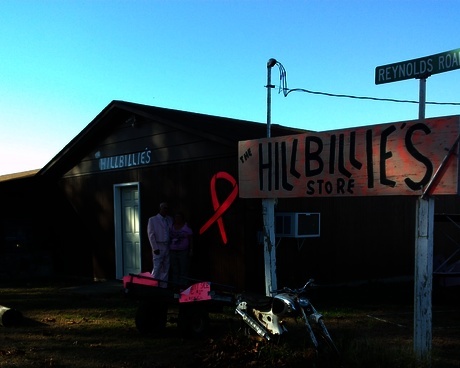 The Hillbillies Store specializes in unique and original gift items. We have gag gifts, swords, body jewelry, tattoo supplies, motorcycle leathers. Gift items include dragons, fairies, wolves, wind chimes, black hills gold, indian jewelry. We also sell adult novelties in the back room that includes lots of lingerie. There are too many items to list - need to come and enjoy looking at all of our merchandise. Located at 4655 240th Rd, Chanute Ks 66720 and can be found on facebook.